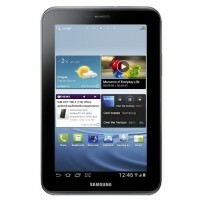 Samsung unveils another Android tablet, the Galaxy Tab 2 (7.0). The tablet is powered by an dual-core CPU and runs on Android 4.0 Ice Cream Sandwich. Galaxy Tab 2 (7.0) features a 7-inches touchscreen PLS LCD display with 600 x 1024 pixels, 1GHz dual-core processor and 1GB of RAM memory. The Galaxy Tab 2 tablet will be available in three versions of internal storage, with 8, 16 or 32 GB internal storage. This space can be supplemented up to more 64GB via microSD card. 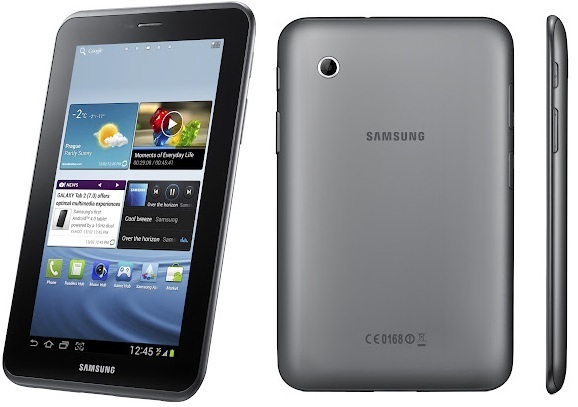 Galaxy Tab 2 has 2 cameras, the back-end camera with 3.15 megapixels capable to record videos at 2048 x 1536 pixels and the front-end camera with VGA resolution. The back-end camera is capable to record videos at full HD resolution with 30fps. About connectivity, Galaxy Tab 2 (7.0) is equipped with fast connectivity, Bluetooth 3.0 with A2DP and Wi-Fi a/b/g/n with DLNA, Wi-Fi direct and Wi-Fi hotspot. The Galaxy Tab 2 has Infrared port. The dimensions of Galaxy 2 tablet are 193.7 x 122.4 x 10.5 mm and weights only 344 grams. The tablet will be available in 2 color versions, black and white. About software, Samsung has equipped this tablet with Android 4.0 Ice Cream Sandwich operating system. Galaxy Tab 2 comes with DivX/Xvid codecs, image/ video editor, QuickOffice HD editor/ viewer, SNS integration and TV Out. The SAR EU value is only 0.71 W/kg (head). The Galaxy Tab 2 is expected to be available next month, in march. The price is unknown.